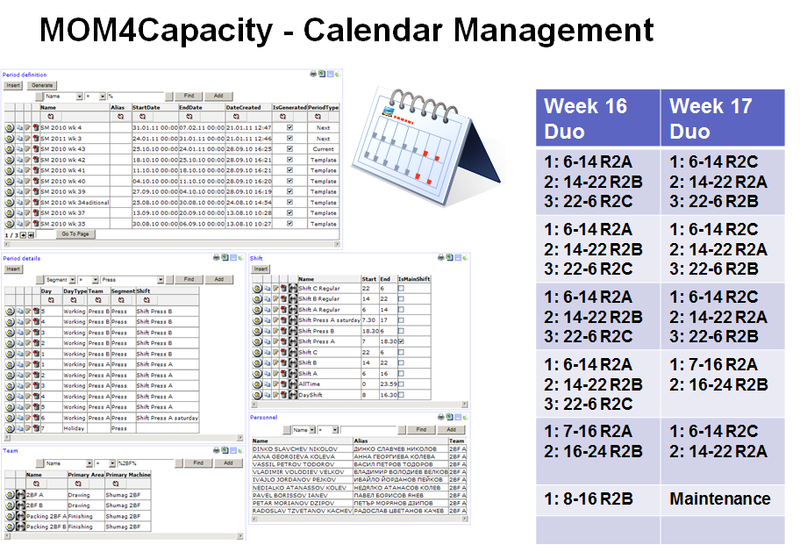 MOM4Capacity presents and informs about capacity per equipment, per time, and capacity balance. Capacity planning is the process of determining the production capacity needed by an organization to meet changing demands for its products Overall capacity is separated in 3 main groups: committed, available, and unattainable capacity. Since one machine can work one or two shifts – which can result in 8/16h but availability is 24h a day. 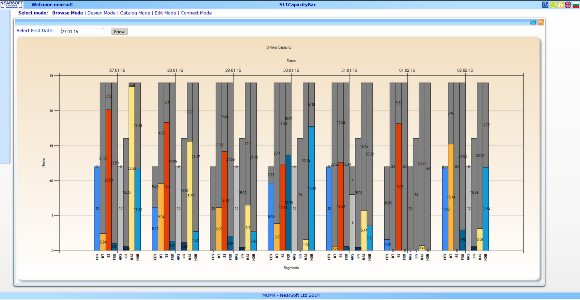 Capacity is essential to define the shifts and shows when different machines are available. Based on availability machines can be reserved and better utilized. 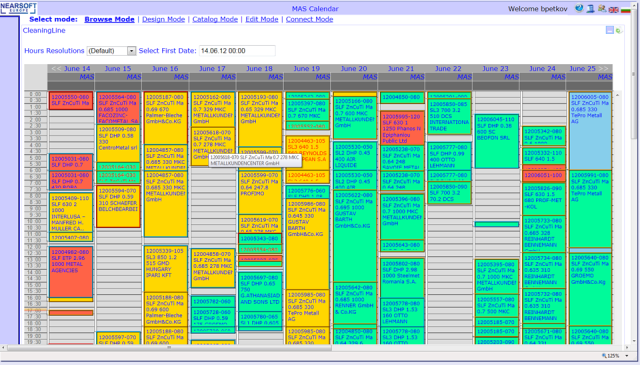 MOM4Capacity also shows which team works which shift and how many machines are involved in this process. Because MOM4Capacity is tightly connected to MOM4Scheduling, the two products work best and result in greatest benefit when purchased together.